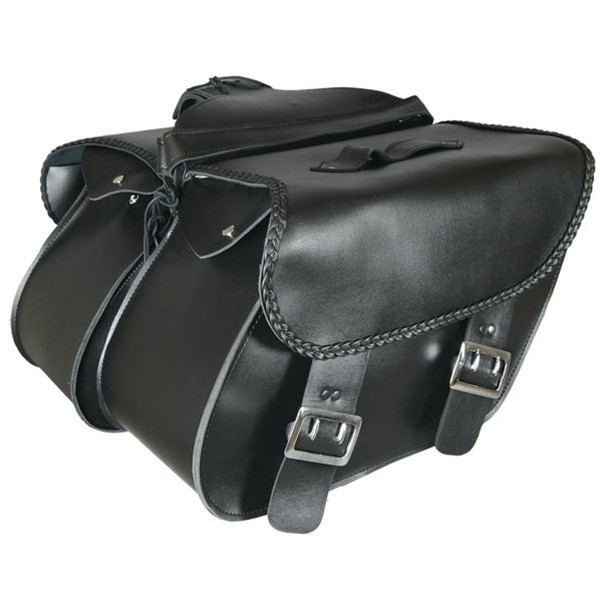 Motorcycle Tool Bag Large PVC tool bag with buckle closure. 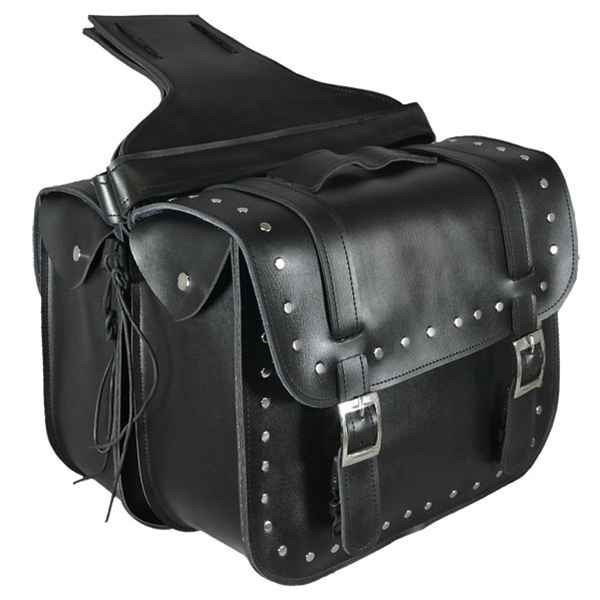 Dimensions 12" x 6" x 4" ..
Our black extra large PVC saddle bag with rivet detail. 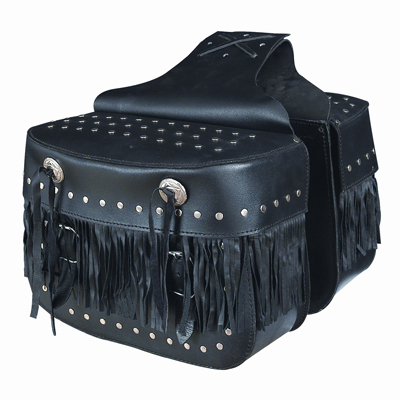 This extra wide 12" x 15" x 8" saddle bag co..
Our large PVC saddle bag with rivet detail. 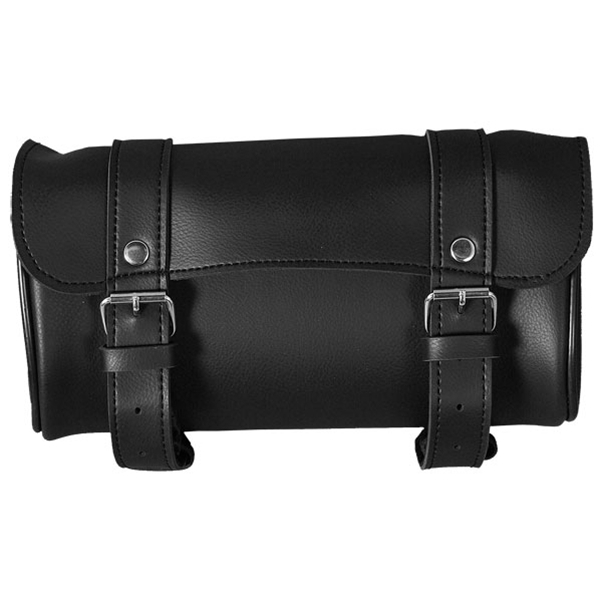 This black 14" x 14" x 6" saddle bag comes with an easy-..